It’s taken a little longer than I expected for iPad 5 (or whatever a 5th gen standard iPad ends up being called) to get going in 2013. I think this is at least partly due to the surprise release of the iPad 4th gen last November. That has left a lot of room for doubt as to whether Apple will skip their usual Spring release cycle for the iPad, or continue with a twice-a-year refresh pattern. Todays rumor comes via Piper Jaffray’s analyst Gene Munster, as reported by Apple Insider. Jaffray believes we’ll see an iPad event in the March/April timeframe. As in, pretty much when we have come to expect them since 2010. He also speculates that since the 4th gen iPad brought only relatively minor updates last fall alongside the launch of the iPad mini, this event should see the unveiling of substantially redesigned iPad. 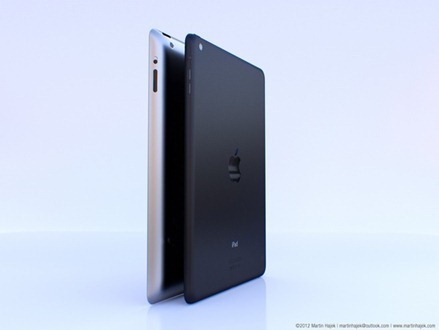 We believe Apple could update the full-sized iPad to a body style similar to the iPad Mini. Additionally, we believe that the iPad Mini could get a Retina display, although that may happen later in the year given the supply constraints Apple faced on the Mini in the December quarter. I feel like this rumor is almost in the obvious category. I find it hard to imagine that Apple will do nothing to refresh the iPad lineup until the final quarter of the year – especially since Tim Cook talked about how Apple was ‘just getting started’ and said “We’re not taking our foot off the gas” at last year’s iPad mini / iPad 4th gen announcement event. It makes perfect sense for the iPad update to come first, presumably becoming lighter and borrowing from the iPad mini design – with an update for the smaller iPad coming in the Fall / Winter that hopefully adds a retina display. What do you all think? iPad 5 event in the next couple months?